Search Engine Optimization (SEO) is important for any business. Not everyone can afford professional SEO services, and as such, SEO 101 (i.e. SEO for beginners) is a topic that has been re-hashed numerous times throughout the past decade. On the other hand, if you can afford a professional, then you’ll want to know the basics so that you can separate the SEO experts from the snake-oil salesmen. We’ve come up with 5 tips for quick & dirty SEO below, and have added some insight into the why that other bloggers will often omit. Users searching for blue widgets will scan the page for blue widgets so you want to make that keyword pop out. These users are less interested in searching for your brand name. If you put your brand name in the title, then it’s usually best to put it at the end. The exception might be for your Homepage, About Us and Contact pages, where the user’s intent is clearly to research your business. Be sure to read more about this by reviewing our article that answers the question, Why are meta titles important? for additional details on titles, meta descriptions and keywords. Many novices will simply put sub-headings within their content in bold. Visually, it’s clear to a user that different sections of your text are related to the topic in bold. However, it is not as easy for a mechanical search engine to recognize this bolded text as a heading. The solution? Use the HTML tags that Google and Bing understand as headings: <h1>, <h2> and similar, rather than <strong> or <bold>. If you’re using WordPress or a similar CMS with a WYSIWYG (What You See is What You Get) interface, then select Heading 1 from the dropdown instead of bold. Here’s another tip that many SEOs will ignore: headings improve accessibility. Blind people who use screen readers rely on H1 tags to navigate through your content, for the same reason that search engines do this. A blind person may not see these tags visually, but with an apprioriate reader, they can scan for headings. Accessibility is a topic that just about all novices and most professional web designers and SEO companies ignore, even though the technology has been around for over a decade. 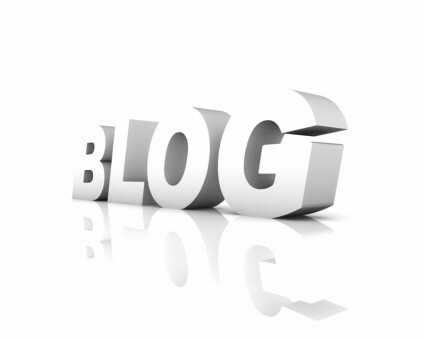 Have a blog on your site? If not, you really should. Not only do they provide a way to keep your audience engaged and informed, but they’re a great place to publish fresh content. This is especially true due to Google Instant, where pages are indexed immediately after publication. This will happen as long as you have your website configured to ping Google and other websites to let them know you’ve got a new page up. For example, most WordPress installations are configured to use services like Ping-o-matic. Primary factors that affect your keyword rankings are the links to your website, and the content on your pages. However, social signals, or social media, can be SEO gold. While they do not necessarily translate into rankings directly, tweets, bookmarks, likes and other social signals indicate to search engines that people are interested in your content. This gives credibility to inbound links to your website. The stronger your social media presence is there, the better. Make sure you have share and like buttons on your site, a Twitter account, and a Facebook fan page. These will help you engage and interact with your audience and they’ll be able to share your content for you. A Google+ presence is important also, as you will be able to claim authorship which will give your search engine rankings a nice boost. Having a blog, as we discussed earlier, can also help you build your social media presence. Be sure to tweet links to your posts and share them on your Facebook and Google+ page. Consider accounts with LinkedIn, Pinterest, Instagram and YouTube as well if appropriate for your site. Here’s a tip: try a plugin like ShareThis or AddThis as a quick way to get share buttons onto your site, along with some helpful analytics. Also be sure to read up on Digital Asset Optimization in order to enhance your exposure by increasing views and downloads of company media such as videos, PDF files and images. Posted in Ecommerce 101, SEO. Tags: basic seo, optimization techniques, seo, seo 101, seo tips, tips, tricks.